Featuring the debut of nine films in total, the Chinese mainland's three-day weekend box office is expected to reach around 300 million yuan ($43 million), an 11 percent decline from last weekend. Friday's box-office earnings decreased by 20.7 percent from last Friday to reach 74.53 million yuan. This gloomy outlook continues a trend that began in October, when the month's box-office take of 3.6 billion yuan was 1.51 billion yuan lower than October 2017, the sharpest year-on-year decline in the past two years. 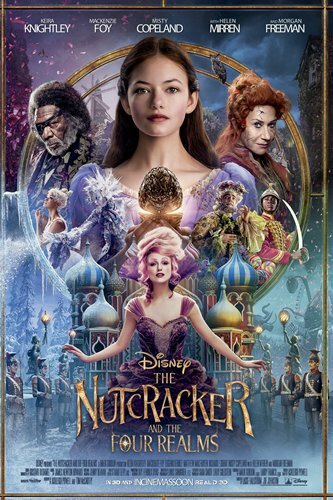 November's first weekend saw the premiere of two Hollywood flicks: Disney's fantasy movie The Nutcracker And The Four Realms and The Fast and the Furious director Rob Cohen's action film The Hurricane Heist. Part of the first group of Hollywood flicks screened in mainland in November, the two movies - ranking at first and second respectively at the weekend box office - brought in an estimated 137 million yuan in total to account for around 45 percent of the weekend box office. 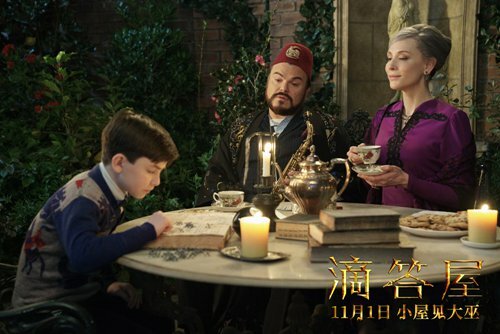 Another Hollywood contender, Universal Picture's fantasy drama The House with a Clock in Its Walls, premiered on Thursday with an 5.5 million yuan take. However, the film failed to compete against Friday's newcomers, dropping out of the box-office top five. The film brought in an estimated 11.5 million yuan in total over the three-day weekend. The biggest surprise of the weekend was the low-budget 2016 British comedy drama A Street Cat Named Bob, which came in at No.3. Starting off low on Friday with a 4.86 million yuan take, good word of mouth caused earnings to jump to 11.65 million yuan on Saturday and an estimated 11 million yuan on Sunday, for an estimated total of 27.4 million for the weekend. Debuting at No.4 with 27.3 million yuan was mainland action film Frozen Hero II starring Donnie Yen, which had almost the exact opposite debut as A Street Cat Named Bob. The film, one of five domestic films that premiered on Friday, debuted with a strong 12.62 million yuan opening, but earnings dropped to 8.73 million yuan on Saturday and an estimated 6 million yuan for Sunday. Coming in at No.5 was Hollywood action flick The Predator, which brought in an estimated 26 million in its second week. The market's sluggish trend is expected to see a turnaround next weekend, when a series of highly-anticipated films, including Hollywood superhero flick Venom and Japanese director Shunji Iwai's star-studded romance Last Letter, are set to debut.